The early career of Vincenzo Postiglione (1835–1916) as a violin maker took place during the final and most eventful 15 years of the Risorgimento (the unification of Italy) – a complex, turbulent and often bloody process, with an aftermath that devastated the once-opulent city of Naples. When Naples joined the new Italian kingdom in 1861, a huge sum was extracted from the banks of the previous state, known as the Kingdom of Two Sicilies, as a contribution to the new Italian treasury, causing a collapse in the region’s economy. The first decade of the newly unified kingdom saw savage civil wars in Sicily and the Naples region. Between 1834 and 1884 Naples endured no fewer than 12 epidemics of cholera and typhoid fever, causing the death of some 48,000 people. All this led to an unprecedented wave of migration, with an estimated four million people leaving the area between 1876 and 1913. Poor as it was, Naples in the mid-1880s was still the largest city in Italy, with a population of nearly half a million. Music and opera had been at the heart of the city’s cultural life since the establishment of the legendary Teatro San Carlo in 1737, and as a result a host of fine violin makers, in particular the Gagliano clan, thrived there for well over a century. After Italian unification, however, Naples lost its status as the musical center of Italy and Milan’s La Scala replaced San Carlo as the country’s leading opera house. By 1874 San Carlo’s income had fallen so low that it was forced to close its doors for a year. Its stature eventually recovered in the 20th century, thanks to continued support from the period’s greatest Italian composers, including Giacomo Puccini. 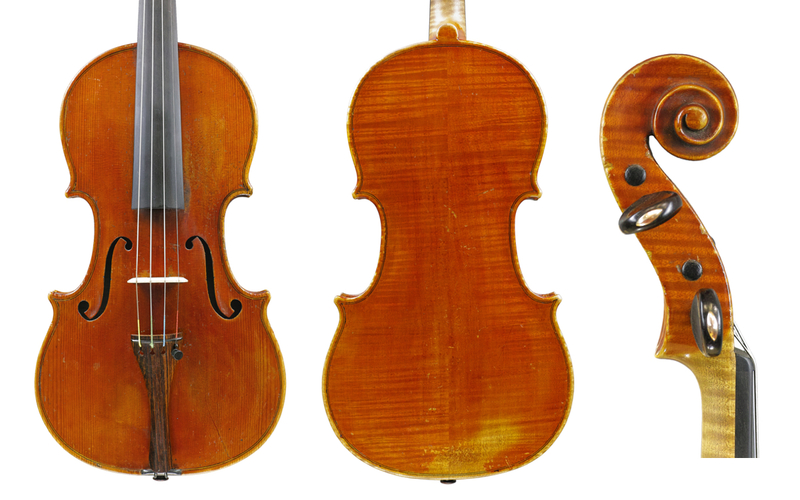 Neapolitan violin making had been in decline since the late 18th century, although the third- and fourth-generation Gaglianos and Lorenzo Ventapane were still able to maintain a relatively high standard. Ventapane died in 1843, well before Postiglione reached the age of apprenticeship. The workshop of Raffaele and Antonio Gagliano then became the city’s only supplier of good instruments, with Antonio working until 1860, Raffaele having died in 1857. The instruments of Ventapane are so stylistically similar to those of Raffaele and Antonio that they are often confused. The last of the Gagliano dynasty, Raffaele’s son, Vincenzo (c. 1820–1886), joined the workshop some time before the deaths of his father and uncle and remained for some years thereafter. His great ability as a craftsman is evident in the brothers’ final instruments, especially in the cellos. Sadly, despite inheriting the legacy of four generations of Gaglianos, Vincenzo was unable to sustain the momentum of the business. Very few instruments still bear his original labels, as with time they acquired the labels of his predecessors. During the last decade of activity of the Raffaele and Antonio Gagliano workshop, with Vincenzo poised to inherit it, the Gaglianos did not require the help of yet another pair of hands. This may have been why during the late 1840s the young Postiglione, probably previously taught by his father, also called Vincenzo, entered the workshop of Vincenzo Iorio (c. 1780–1849), who died soon thereafter. 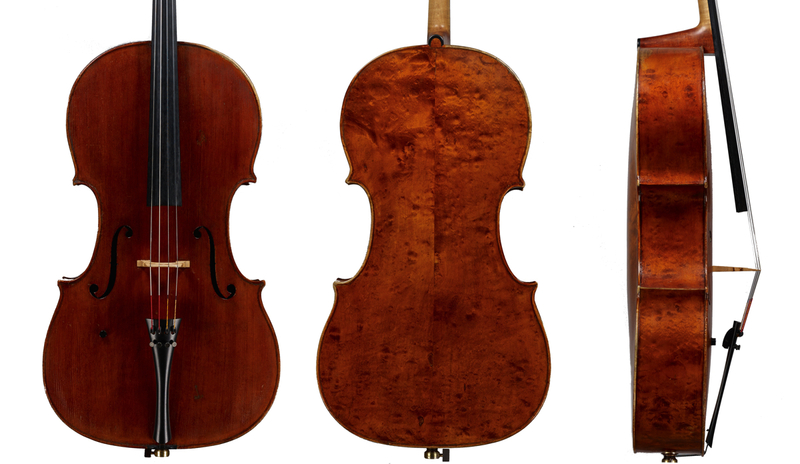 Iorio, a close contemporary of Ventapane was a relatively productive but not great maker, and the finer instruments often attributed to him are generally copies by Giovanni Pistucci made towards 1900. Iorio is, nevertheless, credited with having also taught Postiglione’s older colleague, Giuseppe Desiato (1826–1907). In 1855 Postiglione opened his own premises in Vico Tre Regine, in the Spanish Quarter. His work from this period is rare and haphazard, with an occasional instrument showing Iorio’s rough-and-ready style. 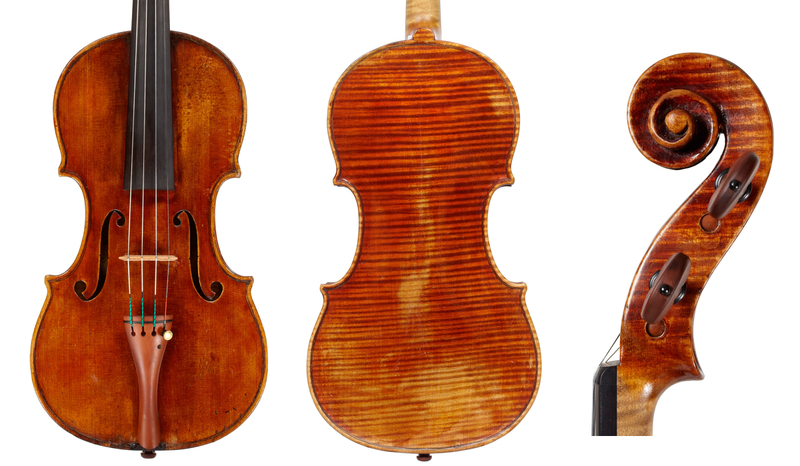 By the early 1870s Postiglione had become influenced by the more refined work of the 18th-century Gaglianos; the rare resulting violins show woodwork that is as fine as that of those he emulated. Their varnish lacks the recipe and the natural wear of the 18th-century originals, but their maker’s efforts to reproduce the often hard and chippy, yet transparent reddish-brown, or the elusive greenish-yellow-brown tint associated with the varnishes of the older Neapolitan makers, is admirable. Postiglione’s early concept of arching (seen in his Gagliano-influenced instruments as well) is similar to that of Iorio, being quite rudimentary and almost too flat; with time he corrected it, adopting a slightly fuller and much more Stradivarian approach. The purfling of these instruments is relatively thin and steady, while the finely sculpted, somewhat Stradivarian scrolls are quite round and lack the typically eccentric outward protrusion of the volutes associated with the Gaglianos. Postiglione’s very varied Gagliano replicas are more genuflections to the spirit of the originals than actual copies. From the 1870s, and in particular in the 1880s, the pace of Postiglione’s production increased markedly and, having absorbed the influences of classical Cremonese modeling and cleaner workmanship, he produced many exceptional instruments. He also gradually abandoned the Gagliano model from the early 1870s, focusing instead almost entirely on the influences of Stradivari and Guarneri, and developed his personal model. 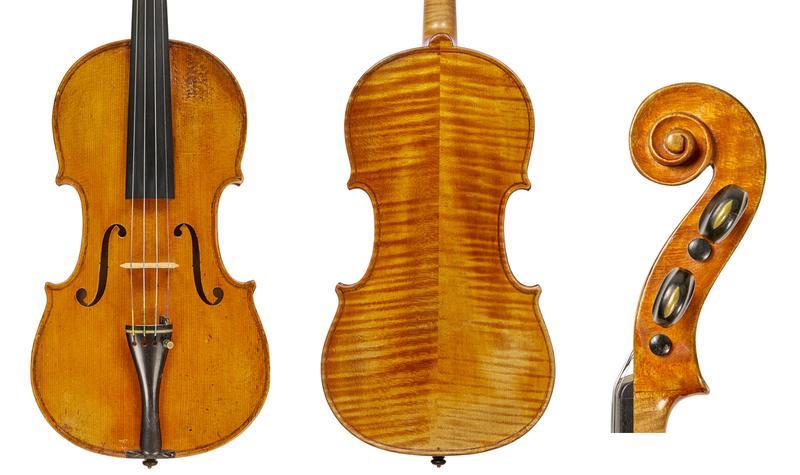 This blended Stradivari with a hint of Guadagnini, the latter’s influence felt in the wide f-hole positioning and in an artistic license similar to Guadagnini’s when attempting to emulate Stradivari. Vincenzo toyed with the lengthening and widening of his plates, while experimenting with varnish colors. These ranged from a beautiful orange-reddish-brown to darker hues, as well as the slightly greenish-brown colors associated with traditional Neapolitan varnishing techniques. In part 2 Dmitry Gindin looks at how Postiglione became the pre-eminent maker in Naples.